If you have any questions about the SURAMA information page below please contact us. This 32 m (104 foot) luxury yacht was made by Cantieri Navali Beconcini (Perini Navi Group) in 1974. Sailing Yacht SURAMA is a good sized superyacht. The naval architecture office which delivered the design in respect of this ship was Andre Mauric. Luxury yacht SURAMA is a interesting yacht that is able to sleep a total of 6 passengers on board and has a total of 6 crew. Andre Mauric was the naval architecture company involved in the technical vessel composition for SURAMA. Also the company Andre Mauric expertly worked on this project. In 1974 she was actually launched with accolade in La Spezia and following sea trials and final completion was afterwards delivered to the new owner. Cantieri Navali Beconcini (Perini Navi Group) completed their new build sailing yacht in Italy. Her hull was constructed with wooden/oak frames. The sailing yacht superstructure component is made mostly with teak. With a beam of 7 metres / 23 ft SURAMA has reasonable interior. A fairly deep draught of 3.96m (13ft) determines the amount of certain marinas she can enter into, contingent on their particular depth. She had refit maintenance and changes carried out in 1994. Coupled to the SURAMA engines are twin screw propellers. The engine of the ship creates 250 horse power (or 184 kilowatts). She is fitted with 2 engines. The total output for the yacht is therefore 500 HP / 368 KW. The bow thrusters are Maxpower. 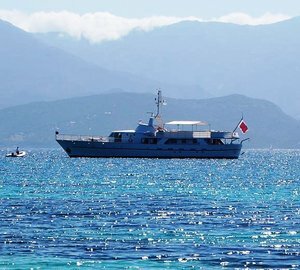 Offering space for a limit of 6 welcome guests staying on board, the SURAMA accommodates them in luxury. The boat utilises circa 6 professional qualified crew to run. 31.76 metres / 104.2 feet. The main engines are two 250 HP / 184 kW Caterpillar. Giving the combined power of 500 HP /368 KW. Onan 2 times 25 kilowatts. Cruisair was the outfit that installed the air-con in this yacht. She has a teak deck. 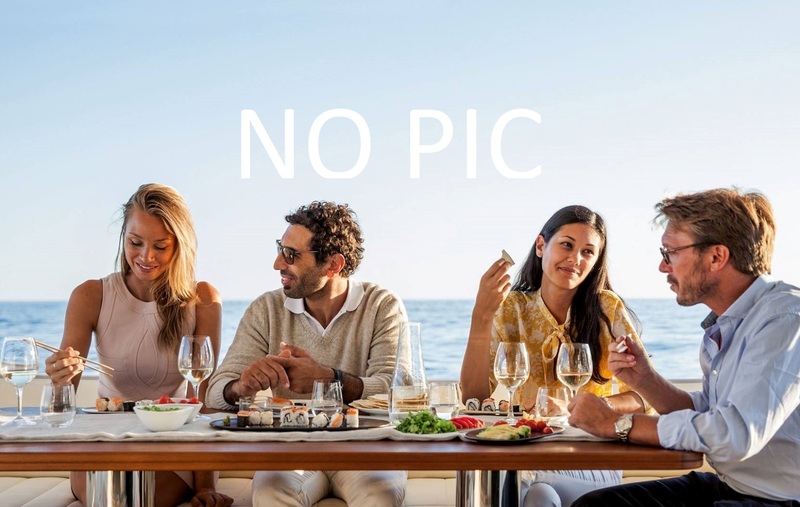 The luxury yacht SURAMA displayed on this page is merely informational and she is not necessarily available for yacht charter or for sale, nor is she represented or marketed in anyway by CharterWorld. This web page and the superyacht information contained herein is not contractual. All yacht specifications and informations are displayed in good faith but CharterWorld does not warrant or assume any legal liability or responsibility for the current accuracy, completeness, validity, or usefulness of any superyacht information and/or images displayed. All boat information is subject to change without prior notice and may not be current.